We’re over three months into the year. This means those of us who made resolutions back at the beginning of January to become healthier and more active are either carrying on full-steam ahead, struggling to keep going, or gave up a while ago. If you’re in the latter two categories, it’s time to take steps to stay on track or get back on it. Are you tired of the same old gym experience? Is the monotony putting your 2019 fitness goals at risk? If so, consider finding a fitness center that offers more than treadmills, dumbbells, and weight machines. Many local gyms also offer classes and training at affordable membership rates. These extras give folks the chance to expand their fitness potential and get insights from experienced instructors along the way. Those who don’t like going to gyms should consider trying outdoor activities instead. Shooting hoops and playing tennis are easy ways to burn calories, tone muscles, and have a good time in the process. The excitement of play and improving ability helps to motivate individuals to keep coming back for more. Folks can also consider relatively slower-paced outdoor activities to avoid injury while still reaching their weekly fitness goals. For example, a paddle board and set of paddle board paddles are an affordable way to take advantage of living near open water to get your exercise in for the day. A pair of hiking boots and a walking stick are a similarly cost-effective way to utilize the natural world for achieving fitness objectives throughout the week. If you don’t already own one, consider buying a fitness tracker. These devices help to keep people motivated by keeping them up-to-speed on biometrics and daily fitness goals. They also help remind wearers to get up and walk around more often during the day. While the latest Apple Watch and similarly state-of-art smartwatch options are great for serving as fitness trackers, readers don’t need to go out and spend several hundred dollars to access this technology. Several models of Fitbit and similarly dedicated fitness trackers are priced much lower than smartwatches. 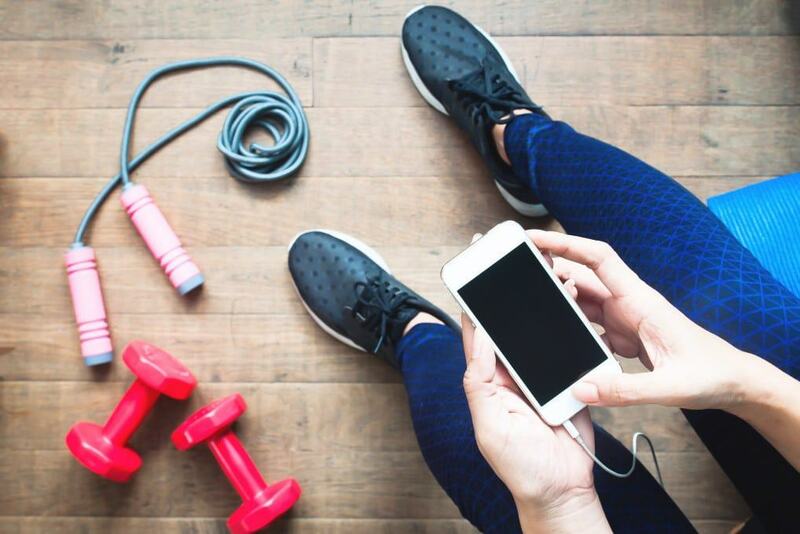 Another way to stay on track with your 2019 fitness goals is to troubleshoot the various factors threatening your ability or willingness to keep going. For instance, rather than simply ignore the fact your ankle is incredibly sore after you go jogging, speak with your doctor to uncover the source of the problem. Allowing the pain to go unchecked can result in a debilitating injury, which will stop your exercise routine right in its tracks for weeks if not months. If work or family life is interfering with your efforts to stay focused on achieving a healthy body this year, make attempts at adjustments and compromises. Talk to your spouse about rearranging pick up and drop off schedules with the kids if the current one is keeping you from getting to your preferred fitness class on time. See if your boss is okay with letting you work from home a few days a week, enabling you to better access the fitness equipment in your basement. These and similar changes can make a big difference in your ability to successfully stick to exercise goals. It’s not uncommon to find yourself faltering on New Year’s fitness goals around the start of spring. However, given the fact there are nine months to go, there is plenty of time to recover the opportunity to get into the best shape of your life. Reasons for failing to do so are often a failure of problem-solving. Simply adjusting your approach to fitness can make a huge difference in your ability to stick to it for the duration of the year and beyond. Are You Ready to Admit You Need a Prescription Strength Antiperspirant? What is the best way to absorb CBD Oil?